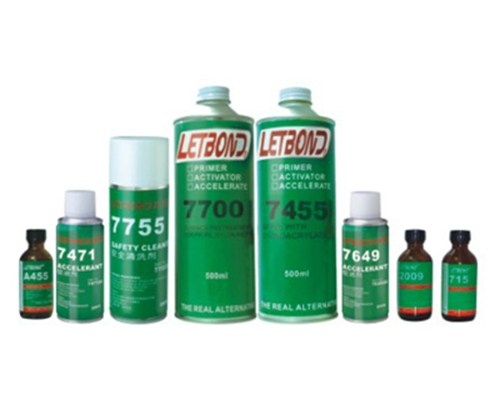 LETBOND® offers a complete line of surface preparation products to ensure the maximum Performance of LETBOND® adhesives and sealants. LETBOND® accelerators are used to Increase the cure speed, activators are used to ensure cure on inactive surfaces and speed the Cure. Such as PE、PP、silicone rubber、Teflon etc.